Dutch explorers decided that what was then called Staten Landt (South America) was not part of the South American continent and called it after the Dutch province of Zeeland, hence the name New Zealand. 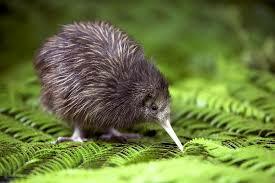 The national symbol, the kiwi, is a flightless nocturnal bird and is the only bird with nostrils at the end of its bill. Kiwis forage for food by digging in the ground and smelling it out. During World War I, soldiers were called “Kiwis” and this nickname remains popular till today. The kiwi fruit earns the New Zealand economy over a billion dollars annually. With only 4.4 million residents, New Zealand is one of the most sparsely populated areas in the world and is full of true wilderness, giving animals and plants ample space to live and breathe. 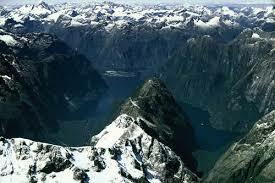 Approximately one third of New Zealand is national park area. It is believed that the population would grow to 11 million if New Zealand allowed everybody who wanted to settle here. For now, Kiwis are glad to preserve their rich natural resources and maintain the beauty, tranquility and calm of the vast landscapes. It’s so easy to get away from it all in New Zealand! With seven times more sheep and three times more cows than people, New Zealand is truly a place where nature reigns supreme. New Zealand has many native birds, freshwater and marine fish, insects, frogs and lizards. Bats are the only terrestrial native mammal. New Zealand has many marine mammals including dolphins, whales and seals. It is also home to many birds that live nowhere else in the world. Native birds include the kiwi, albatross, kaka and kakapo. New Zealand is also home to more penguin species than any other country in the world. While some of the species were once endangered, a great deal of work has gone into the preservation and restoration of many of the more unusual animal species. 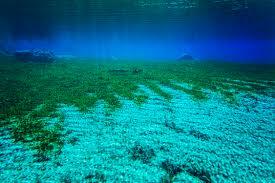 Blue Lake in Nelson Lakes National Park has the world’s clearest water. Outside of the polar regions, New Zealand is the largest land mass to be populated by humans. The first settlers were the Maoris who arrived between 800 and 1200 AD. Today, 15% of the population are Maori. Voting Rights For Women & Women in Politics. New Zealand was one of the first countries to introduce voting rights for women, all the way back in 1893. New Zealand was the first country to have three women in the top three positions of power at the same time: Prime Minister, Helen Clarke, Governor General Dame Silvia Cartwright and Chief Justice, Sian Elias. Tying with Denmark, New Zealand is the least corrupt country, according the Corruptions Perception Index. Ironically, even though it was Kiwi, Baron Ernest Rutherford, who first split the atom, New Zealand maintains and upholds its opposition to nuclear power production and there are no nuclear power stations in New Zealand. 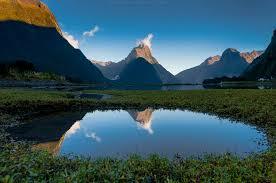 Milford Sound was voted the world’s top travel destination by Tripadvisor in 2008. Rugby is the most popular sport in New Zealand, and the All Blacks, New Zealand’s national rugby squad, are feared all over the world for their tenacity, quality of play and fierce determination. Before every game, the team performs the “Haka” a maori war cry and dance, much to the delight of the fans and the intimidation of the opposing team. New Zealand exports 95% of the 19 million tons of milk produced by its farmers. Export began in 1846 and dairy exports contribute greatly to the country’s economic stability and growth. New Zealand is a truly special place particularly for those of us who love the wilderness, shy away from crowds and enjoy being at one with nature.